One variation of the linear variable differential transformer is a rotary variable differential transformer. Instead of sensing linear motion, a rotary variable differential transformer senses angular movement. It is also considered a passive transducer. For an RVDT to produce the necessary output, the sensor produces an output voltage of variable alternating current which is proportional to the angular displacement of the input shaft. The construction of an RVDT is similar to an LVDT except for the core. Instead of three windings, an RVDT only has two which are the primary and secondary winding mechanisms. Durability. RVDTs are durable and robust sensing mechanisms. Applications which require a sensor that can withstand extreme conditions such as vibration and shock will benefit from using an RVDT. Inexpensive. Cost-effectiveness is an important characteristic especially when the application has a limited budget. Although RVDTs are generally cheap to use, they are still quite robust and reliable. Easy to manage electronic parts. The electrical components of an RVDT are easy to operate and simple to maintain. This sensor does not contain complicated circuitry or require speciality auxiliary parts to function. Compact size. Another benefit of an RVDT is its relatively small size and compact design. It fits many applications where there is limited space to install a sensor. Like an LVDT, RVDTs are some of the most commonly used sensors today. Due to its contactless construction, it does not suffer from any functional integrity issues which result from friction and wear and tear. Most manufacturers of position sensors such as RVDTs use contactless design to maintain the sturdiness of its mechanism. Accuracy and precision of the application. The accuracy of an RVDT is limited in some cases and may not be suitable for certain applications. When the application requires high-precision sensors, it is likely that the cost of the mechanism will also increase. Working environment. RVDTs are robust and can work in harsh environments. Other sensors are not suitable for conditions subject to extreme temperature changes, the presence of contaminants, or high vibration. Auxiliary power source. An RVDT requires an AC input to produce the desired output reading. If there is no power source, then an electromechanical sensor may not be the best option. Signal conversion. Some applications these days prefer a sensor which can convert data into digital output readable on computers. 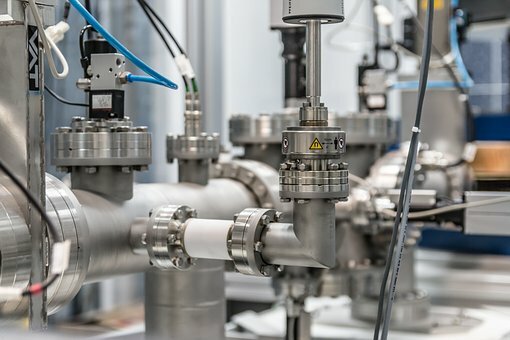 Some manufacturers can help take all these factors into consideration and custom-design a position sensor perfect for the application’s requirements.